I can’t tell you how much we love getting recommendations for our work. It means everything to us. 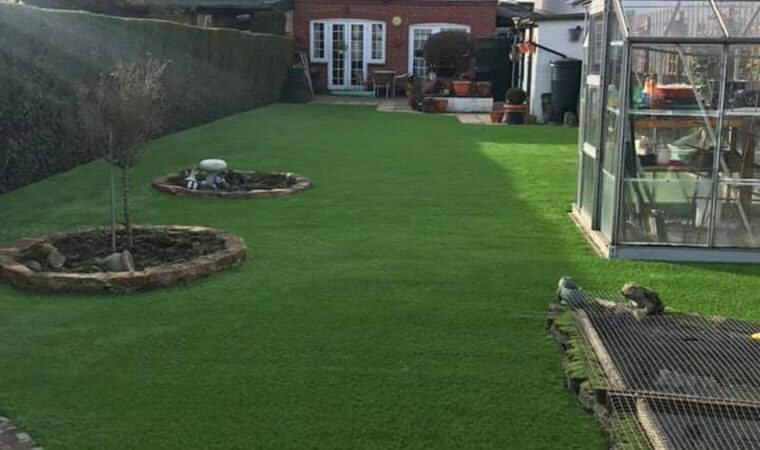 This back garden in Lee, South East London was another another example of a neighbour who recommended us. 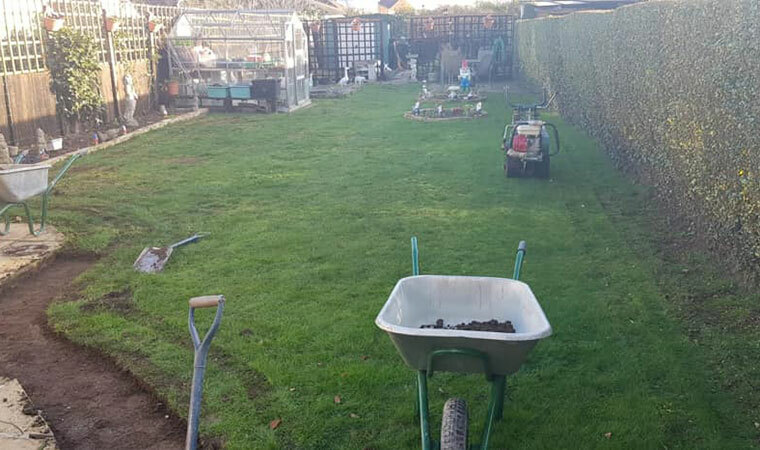 We took nearly 20 tonnes of soil and turf off this and replaced it with the same amount of type and granite dust. You can really see the effort that goes into those all-important hidden timber fixings around the perimeter. The Rectory grass was chosen for this particular garden.